Houghton Mifflin Harcourt, 9781328479259, 336pp. 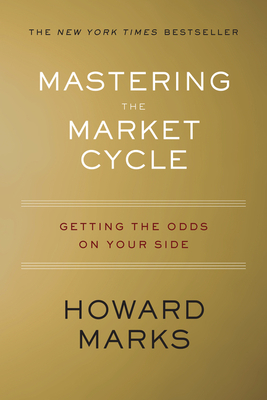 The legendary investor shows how to identify and master the cycles that govern the markets. We all know markets rise and fall, but when should you pull out, and when should you stay in? The answer is never black or white, but is best reached through a keen understanding of the reasons behind the rhythm of cycles. Confidence about where we are in a cycle comes when you learn the patterns of ups and downs that influence not just economics, markets and companies, but also human psychology and the investing behaviors that result. If you study past cycles, understand their origins and remain alert for the next one, you will become keenly attuned to the investment environment as it changes. You’ll be aware and prepared while others get blindsided by unexpected events or fall victim to emotions like fear and greed. By following Marks’s insights — drawn in part from his iconic memos over the years to Oaktree’s clients — you can master these recurring patterns to have the opportunity to improve your results. HOWARD MARKS is cochairman and cofounder of Oaktree Capital Management, a leading investment firm responsible for over $120 billion in assets. His previous book on investing, The Most Important Thing: Uncommon Sense for the Thoughtful Investor, was a critically acclaimed bestseller. He lives in New York City.